This festive season, don't work yourself into a tizzy. Here are some pointers from Pooja Lal, director of DelightGifts.in. 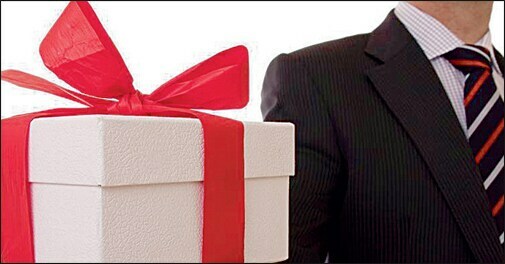 When gifting in a corporate capacity, ascertain if the recipient's firm allows its employees to receive gifts. You could call its HR or marketing division for clarification; you wouldn't want to face the embarrassment of having your gift returned. The budget for the gifts should be set in accordance with the recipient's position - whether he is a VIP, a long-term customer or a new client. If the recipients are an entire team or department, you may opt for a collective gift - such as mixed nuts, candy or a basket of goodies - over individual ones. While vouchers may seem impersonal, they happen to be a very practical gifting option. Movie tickets and dining vouchers will make any employee happy, but VIP clients would prefer golf lessons, wine tasting sessions or a fine dining experience. Avoid sending gifts to prospective clients as it may seem like an attempt to influence their business decision. Instead, settle for a nice hand-signed card with a sincere note that conveys your greetings and says that you hope to work with them in the New Year. While the decision to put your company logo on a product is a personal one, it mostly depends on the situation. A digital photo frame or a crystal bowl of gourmet chocolates may carry a small but tasteful logo, but playing it up on inexpensive products such as keychains or mugs may be considered inappropriate.